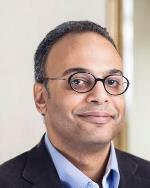 The arbitrary detention of Hossam Bahgat, (the founder of the Egyptian Initiative for Personal Rights, an independent Egyptian human rights organization and a journalist at Mada Masr, an online news site), on November 9th, 2015 is a mere reflection of the crackdown on civil rights in Egypt and the grim truth about the restricted enjoyment of the ‘’freedom’’ of expression and opinion in the country, that is essentially guaranteed by the Egyptian Constitution Article 651 and Article 19th of the International Covenant on Civil and Political Rights, that Egypt is party to. It was Mr. Bahgat’s article entitled “A coup busted” that initiated his interrogation. The article was as about the military trial of 26 military officers who were accused and convicted of planning a coup and was published on October 13, 2015 at Mada Masr. On November 5th, the military intelligence had sent a summon to Mr. Bahgat in his residency to report for questioning on November 8, 2015. He was charged by “deliberately spreading false information with the purpose of harming public order or public interest” (under Article 102 of the Criminal Code) and “publishing, with malicious intent, false news that is likely to disturb public order” (Article 188). Human rights organizations and advocates consider these articles being used by the Egyptian authorities to intimidate independent activists and journalists. On November 9, 2015, today, Mr. Bahgat, did not attend the hearing during which his detention was ordered for four days. Arab NGO Network for Development (ANND) expresses its solidarity with Mr. Bahgat and with all civil society activists and human rights defenders in Egypt, struggling for advancement of human rights situation in the country. ANND considers freedom of expression and opinion not only as a fundamental human right in its own but indispensable for the achievement of all human rights, for ensuring an enabling environment for a vivid civil society and key towards ensuring democracy and active civic participation. In this respect, we call for an unconditional and immediate release of Mr. Bahgat as well as all human rights defenders currently in detention. We consider their detention as arbitrary aiming at shrinking civic space in the country. We call Egyptian government to ensure respect for human rights and fundamental freedoms in accordance with international human rights standards and international instruments ratified by Egypt. Source: Arab NGO for Development.